Colorado River Rafting trips offer up to 5-day expeditions and are the seminal whitewater experience for any outdoor enthusiast. 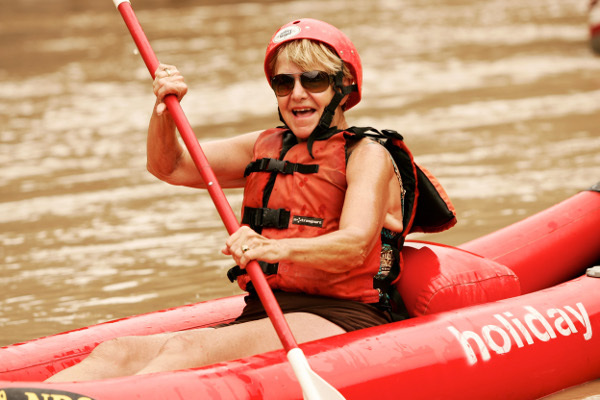 It is no surprise that Colorado River Rafting trips are continuing to grow in popularity. You will find selections of rafting trips perfect for beginners with smooth waters, playful rapids, and majestic vistas. Further along, there are sections of the river to challenge the experts with class IV and V rapids. You will have the chance to see everything from archeological sites, abundant ecosystems, and layered geology that the river shaped in its own image. Truly Colorado River Rafting offers something for everyone, a diverse experience with new legacies to be discovered around each bend. 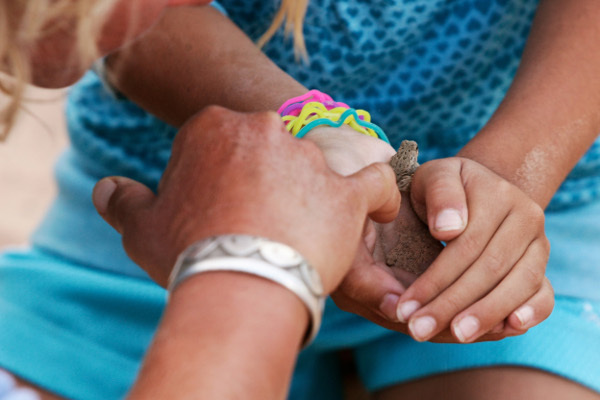 Holiday River Expeditions offers many sections along the Colorado River’s meandering course. We start with a Ruby-Horsethief & Westwater Canyon trips near the Utah-Colorado border. We also offer an easy going daily stretch through Fisher Towers just outside the town of Moab. After that the Colorado river courses into Cataract Canyon in the heart of Canyonlands National Park. Finally, we find the notorious Grand Canyon. 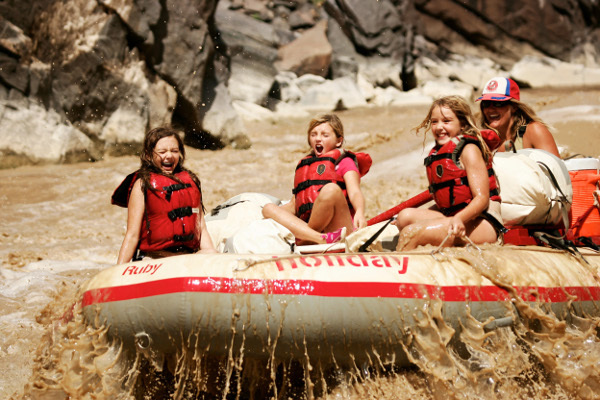 From top to bottom, Colorado River Rafting thrives and provides a ride of a lifetime. 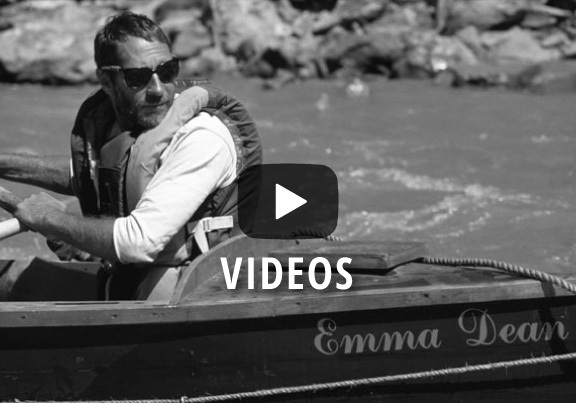 Colorado River whitewater rafting trips don’t get much better than this! 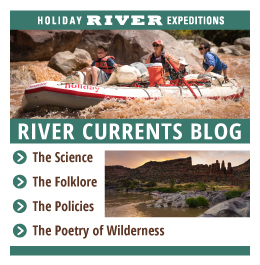 Our Westwater Canyon Colorado Rafting adventure takes us down a segment of the Colorado River that packs a real whitewater punch, with ancient black-rock that gives it the nickname “miniature Grand Canyon”. Legendary Cataract Canyon lies buried in the heart of Utah’s Canyonlands National Park. 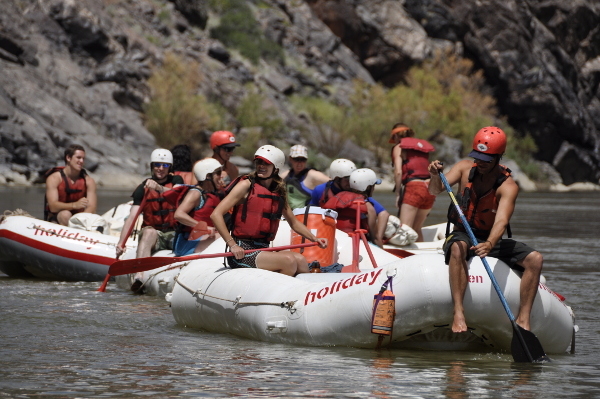 Our whitewater rafts offer fun and exciting transportation to side canyon grotto’s, waterfalls and ancient Pueblo ruins that are otherwise inaccessible. 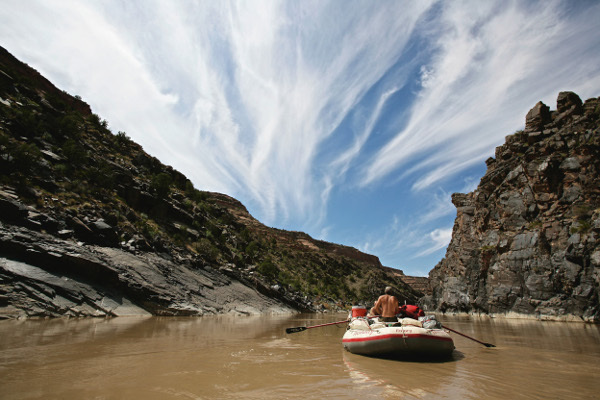 On this river rafting vacation, we see the most vivid contrast between serene tranquility and all-out high adventure. Spend your first few days soaking in all the supreme beauty and relaxation the river has to offer and then square up for 30 “Big Ones”; the big-drops of this notorious canyon never disappoint! Our three-day and two nights Cataract Canyon trip gives you the fun and exhilaration of our longer 5 and 6-day trips. 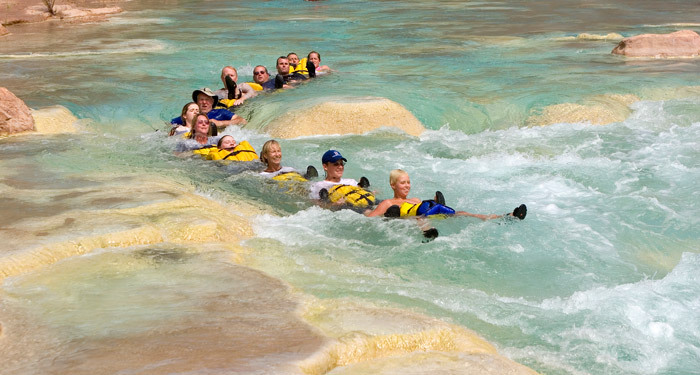 This excursion is a great way to experience whitewater rafting at its best in a short time frame. 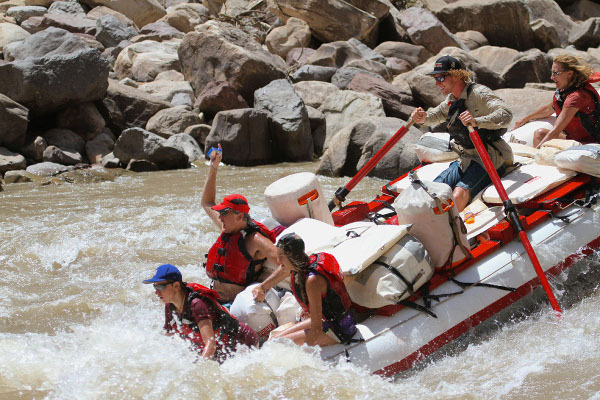 This three-day Colorado River whitewater rafting trip includes riding the thrilling Big Drop Rapids with Little Niagara and Satan’s Gut… an unforgettable experience. 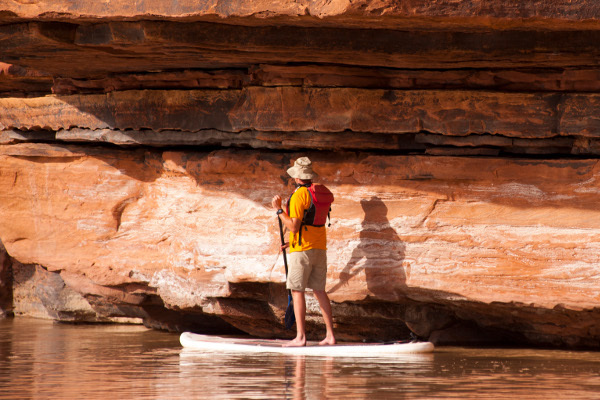 The very name “Grand Canyon” brings to mind the unparalleled beauty and breathtaking whitewater. This granddaddy of whitewater rafting in Arizona boasts 150 rapids, including some of the wildest whitewater in North America. The two largest, Lava Falls and Crystal Rapid, are awesome to behold, and exhilarating to run. Sparkling clear springs gush from cracks in the cliffs, forming lush oases of ferns, pools, and wildflowers. Each of the Earth’s climatic zones is represented in Grand Canyon from alpine forests on the rim to Sonoran deserts in the lower elevations. 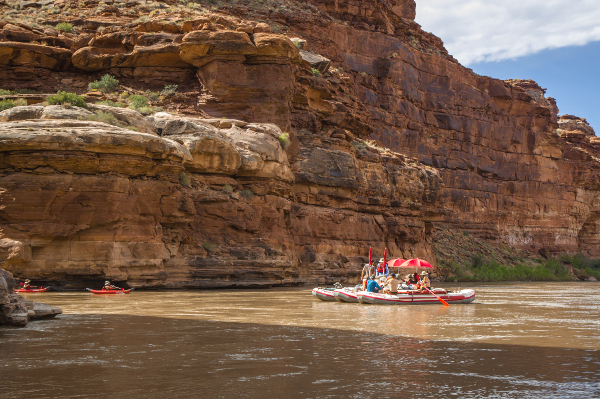 This section of Colorado River Rafting trip is characterized by towering red sandstone monoliths set against the LaSal Mountains. With such classic red rock desert beauty, this trip offers a spectacular setting for river runners and over the past several years has been the backdrop for many Hollywood movie productions. Fun class I to II rapids appear on the Colorado River making it the perfect section for youth groups to play in paddle boats and inflatable kayaks. Minutes outside of Moab, Utah!